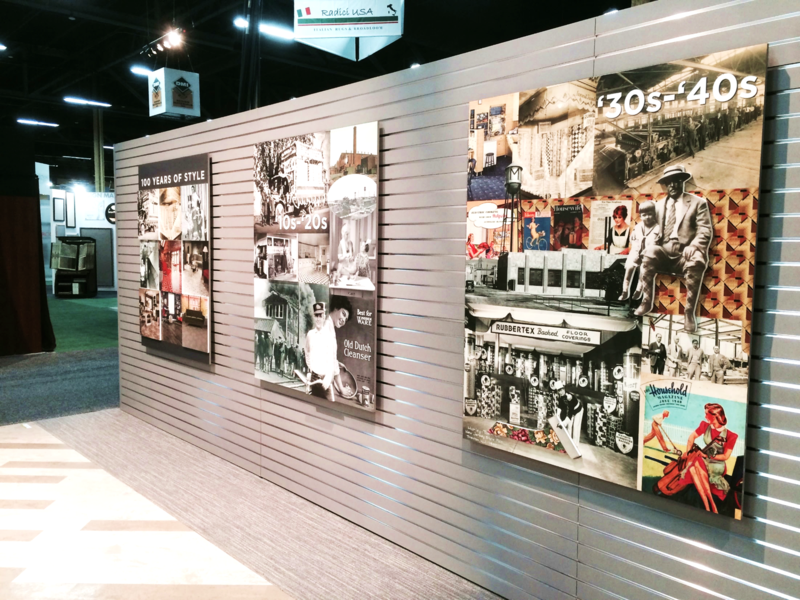 On December 28, 2015 Mannington Mills celebrated the 100th anniversary of its founding by John Boston Campbell at a gala event at the National Constitution Center in Philadelphia. 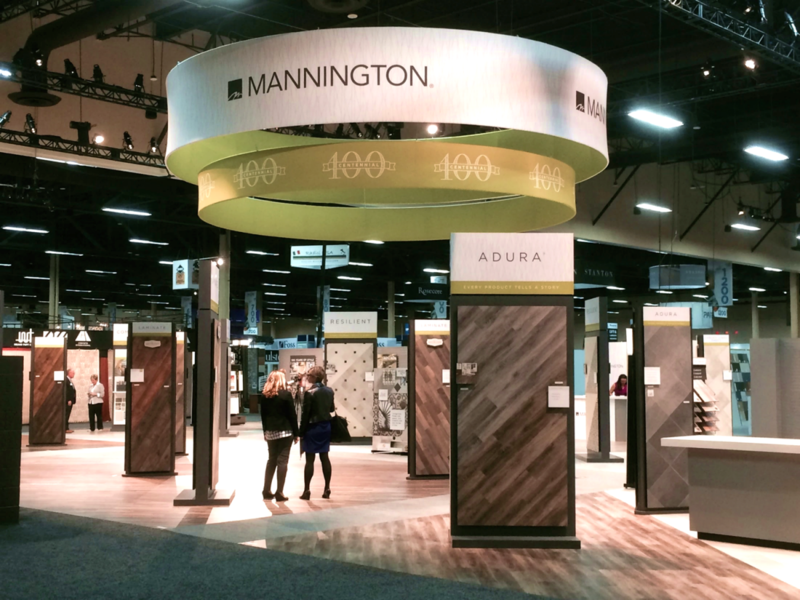 We want to offer our congratulations to Mannington as it enters into its fifth generation of family ownership. 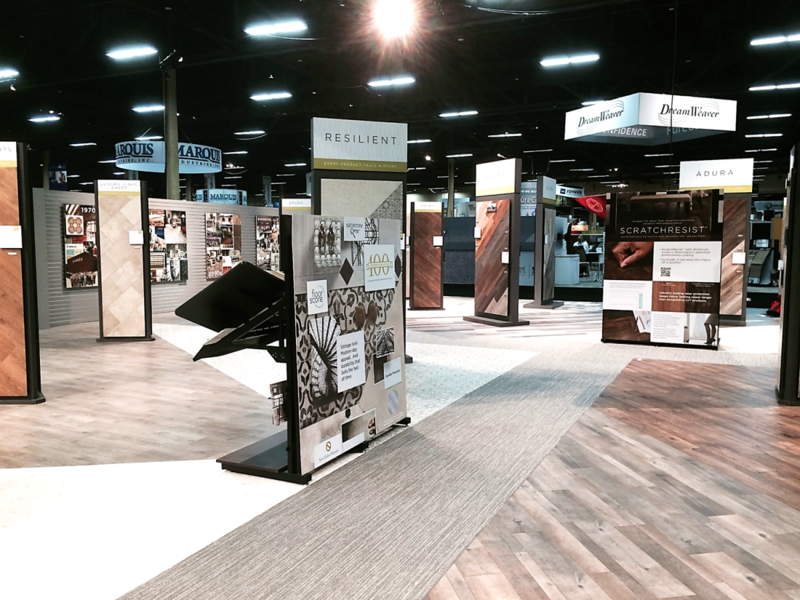 And we want to thank Mannington for the opportunity it has given us to serve its tradeshow, retail display and showroom needs for most of the last 30 years. 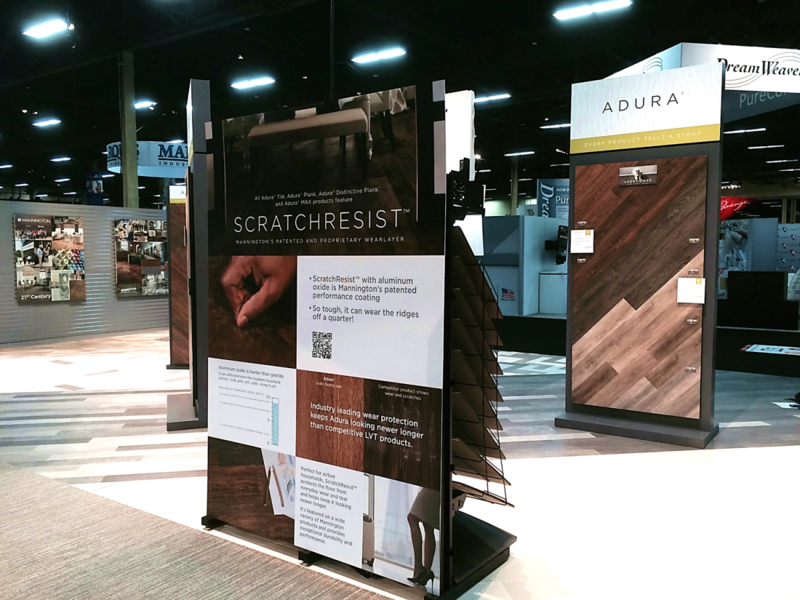 Most recently we helped Mannington take the celebration to Surfaces 2016 in Las Vegas, the flooring industry’s largest annual event. 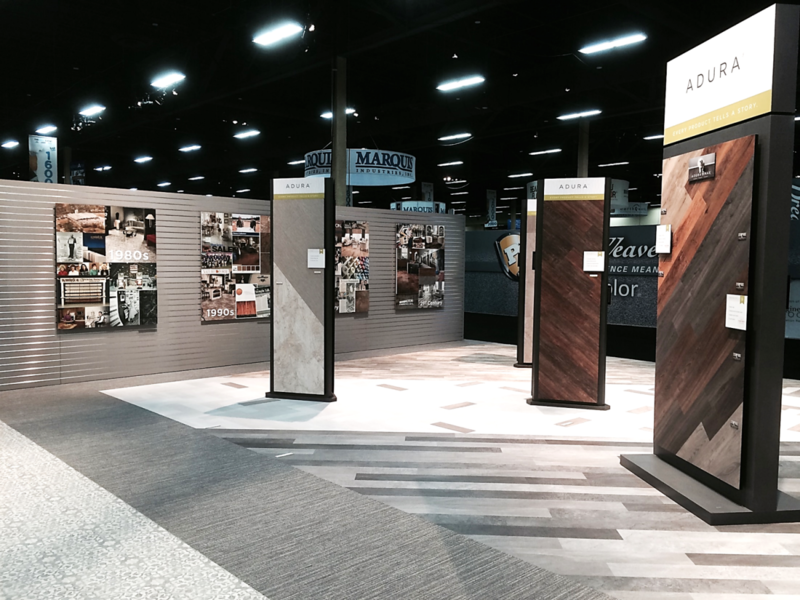 Photos of Mannington’s 9,000 square foot tradeshow booth, designed to highlight its newest colors and styles, and to showcase its 100 years of history can be seen above.